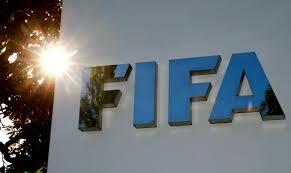 Ghana and Nigeria has being given deadlines to comply to FIFA's Directives or face ban. The liquidation petition at Ghana high court brought by the Attorney General accordingly to FIFA must be withdrawn by 27'th August or they will face ban by FIFA. FIFA made it known that if the petition to start liquidation of GFA Ghana Football association is not withdrawn by Monday 27 August 2018 at 11:00 GMT the Ghana football association will be suspended without further delay. After the film of the African match officials and the formal GFA President Kwesi Nyantakyi receiving a cash gift was publicised CAF which is the Confederation of African football issued ban to many of the officials shown on camera. The formal GFA president Nyantakyi made resignation to certain post in his possessions from CAF and FIFA post respectively. FIFA issued a suspension to Nyantakyi for 90days on 8 June but he has left his role on FIFA council. FIFA made it known that the suspension will be lifted once the petition is withdrawn and written proof is presented to FIFA. In respect to Nigerian Football Association NFF presidential controversy, FIFA council has made a decision that if on Monday 20th of August 2018 at 11:00 (GMT) the Nigerian Football Association (NFF) presidential position is not wheeled back to the legitimate NFF President in person of Amaju Melvin Pinick, who was duly elected on 30'th of September 2014, NFF will face suspension for contravening the FIFA statutes. FIFA furthermore disclosed that any ban would not effect Nigerians participation in the ongoing women's under 20 world cup in France. The suspension would only be lifted once the NFF under president Amaju Melvin Pinick General secretary Mohammed Sanusi, confirms that it has been given back the control of NFF and it's office.